Out-of-hospital cardiac arrest (OHCA) is a significant public health issue, and treatment, namely, cardiopulmonary resuscitation (CPR) and defibrillation, is very time sensitive. Public access defibrillation programs, which deploy automated external defibrillators (AEDs) for bystander use in an emergency, reduce the time to defibrillation and improve survival rates. In the Netherlands, a new civilian response smart phone application alerts registered volunteers when an OHCA occurs in the vicinity, and directs them to a nearby AED and to the victim. Strategic location of AEDs with respect to OHCA victims and volunteers is vital to decrease the time between collapse and treatment. In fact, AED location problem has been studied both by the medical community and operations research community for over a decade. However since such a civilian response app is relatively new, lay responder location information has not been incorporated into the AED deployment research. In this proposal, I tackle a brand new location problem where both demand (OHCA) and supply (AED and lay responder) locations are subject to uncertainty. Another novelty in this proposal is the concept of multi-stop coverage: Demand is not met by one type of supplier; instead multiple suppliers are needed in a specific order (first the lay responder and then the AED). I propose a comprehensive modeling framework which combines spatial data analytics, statistical analysis, optimization modeling and geographical information systems (GIS) modeling. This new approach is primarily motivated by the AED deployment problem, but can be extended to various other settings in which demand and supply locations are uncertain such as emergency planning and humanitarian logistics. 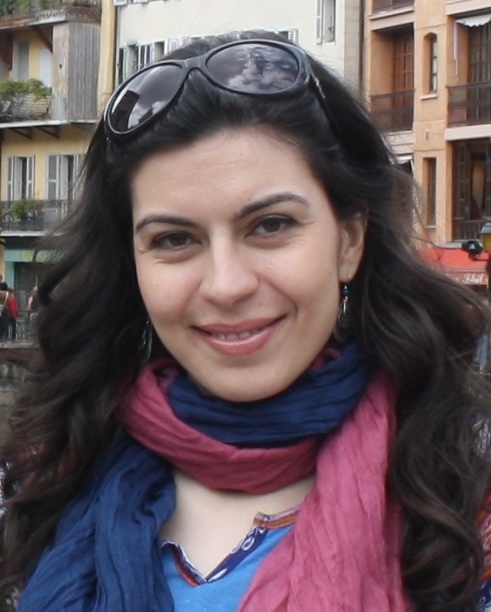 Derya Demirtas is an assistant professor at the Center for Healthcare Operations Improvement & Research (CHOIR) in the Department of Industrial Engineering and Business Information Systems at the University of Twente. She received her BSc in Industrial Engineering with a double major in Computer Engineering from the Middle East Technical University, Turkey (2008). She then received her MMath in Combinatorics & Optimization from the University of Waterloo, Canada (2010), and her PhD in Industrial Engineering from the University of Toronto, Canada (2016). She was recognized by the American Heart Association with the Young Investigator Award in 2015. She won the best poster abstract presentation award by the National Association of EMS Physicians (NAEMSP) in 2016. She was a finalist for the Three Minute Thesis Competition at the University of Toronto (2014). She also received the second place in the INFORMS Section on Public Sector Operations Research (PSOR) best paper competition (2012).